Availability: This product is discontinued and no longer available for purchase. For alternatives browse our Golf Grips department. 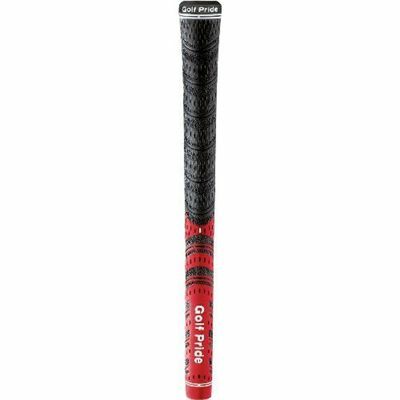 The Golf Pride New Decade Multicompound golf grips are made from a combination of cord and rubber to provide great tackiness, superb durability and excellent feel. The upper hand area utilises Golf Pride's black Velvet Cord for unbeatable all-weather traction and the lower hand area uses a softer rubber material that provides great responsiveness and control. The pack includes 9 grips. for submitting product review about Golf Pride New Decade Multi Compound Golf Grips - 9 Pack.